• Collect and mix more than 120 carefully handpicked sounds. • Record and import your own sounds. Possibilities are endless! • Use the timer to fall asleep or to set a time limit to your relaxation, meditation or yoga sessions. 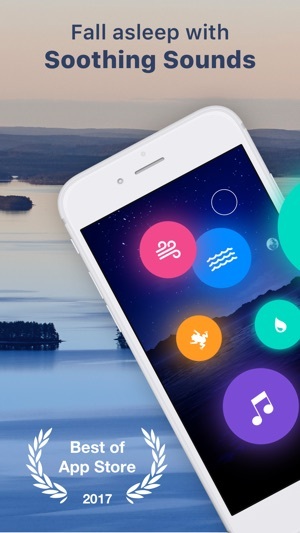 • HomeKit: Pair your smart lighting system and experience ultimate relaxation! • Unique and intuitive interface. • Neat and minimalist design. • Share your creations with your friends via Facebook, Twitter or by email. • Control the app with any AirPlay device! • We’ll continue to grow the sound collection, so please send us your suggestions! Hello! This new version fixes some bugs and includes some optimisations. I really love the TaoMix apps. The original TaoMix was one of the very few apps I actually made an in-app purchase on so I could have all the sounds and then I did the same for TaoMix 2. However, I think they should consider implementing support for 3D stereo sound. 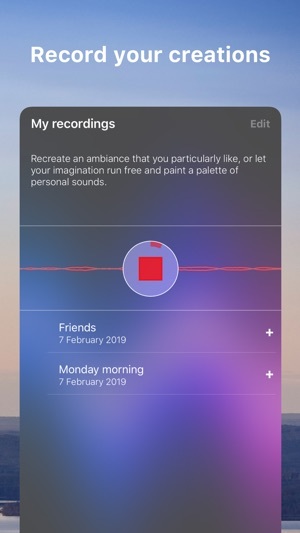 It would take the app to another level if the audio was binaural when wearing headphones or streaming to a surround sound when you hear sounds come in from the left or right and move around. 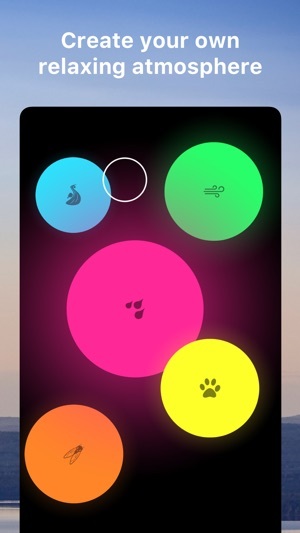 Maybe inside the app you could enter a mode where individual sounds can float around and then designate the left side of the screen as the left channel, right side as right channel, etc and the sound will shift from left ear to right ear as the sound approaches the right side of the screen. Or for 5.1 surround system support, you could also add bottom and top corner sound points to the screen to account for the front left/right/center and rear left/right found in most people’s surround sound systems. 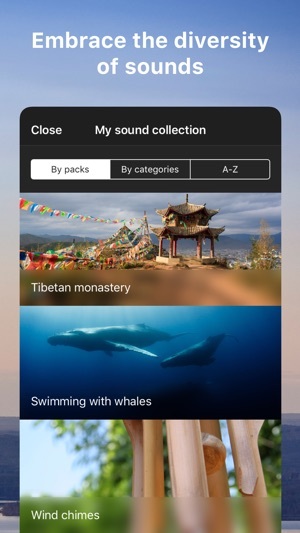 I searched the AppStore for something like this and I didn’t see anything for what I wanted, so I think this app could be the first to really embrace 3D audio for relaxing ambience sounds. The developer of this app is genius! I thought it would be just like the other "make your own" sound apps- where you pick your sounds and then get bored quickly because there is no change in the sounds. Not with this app! You can pick your own sounds, or the app helps you out with pre picked sound mixes.. the variations are endless! After you've picked your mix, a little ball travels around the screen making the sound it is on a little louder, bouncing in different directions- at a speed you can adjust.. making for a constantly changing sound track!! Amazing and a pleasure to listen to! I'm going to go listen to my sitting by the fire, reading a book in a rocking chair, cat purring, with light rain on the windows mix. 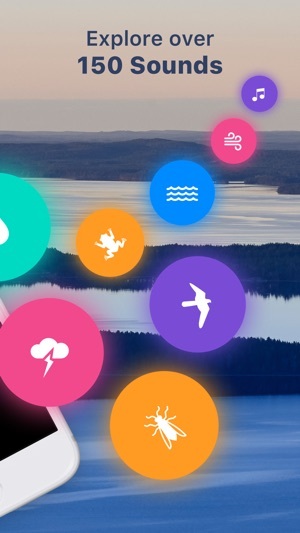 If you are looking for music to relax with, do paperwork with, meditate with, exercise with, study with, cook with, drive with, shower with, go to sleep with, do housework with, eat with.. this app is for you! 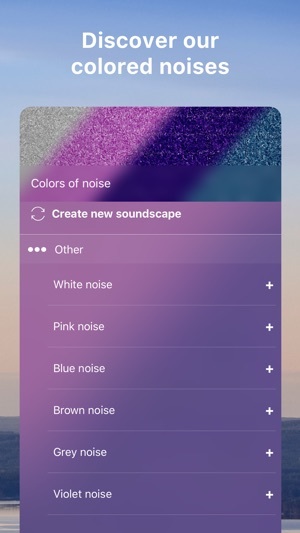 There are endless soundscape options and customization. You can make complex audio with changing speed, volume of each sound, interactions (such as putting the river near the forest for example) even though it is very easy and intuitive. It takes about 5 minutes to learn how to use all of the features. There is a timer for when you want it to stop after you fall asleep. 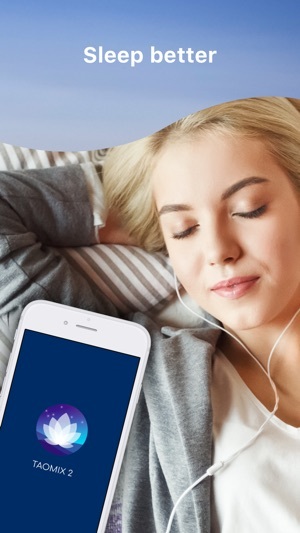 But this app can be used for much more than sleep; I use it throughout the day for relaxation, motivation, background music when guests are over... This is my favorite app. I use it every single day and cannot fall asleep without it anymore! I normally don't pay for apps but I did with this one and bought every available additional sound they offer. But without paying you get lots of sounds so buying more isn't necessary. I have tried other apps but nothing holds a candle to TaoMix2.